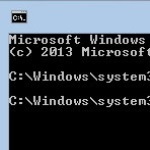 How to add a Command Window and a Run Command to Windows 8 and Windows 7.
the Run command and for the DOS window. I can’t find either of these on this 7. Is it right under my nose, or what?? In the case of Windows 7, I’ve previously written about adding the Run command to the Windows Start Menu. You can find out how in my article Adding the Run Command to the Windows 7 Start Menu. Once you have added it, opening a “DOS window” command window is simple — in the Run command box in the Start Menu, type CMD and press the Enter key. You can also set up a CMD shortcut in Windows 7, in the same manner as shown below for Windows 8. Terry's Computer Tips windows command line. permalink.